In 2000, Armenia was still shaking off the Soviet heritage of planned economy approaches, a mentality of production-led entrepreneurship and isolation from international markets. The small size and economically distressed condition of the domestic market necessitated a broader perspective on growth opportunities. The U.S. Agency for International Development (USAID)-funded ASME sought to increase market opportunities for small and medium-sized businesses. For the first four years, efforts were exclusively targeted at agribusiness enterprises such as canneries, dried fruit producers, meat processors, milk processors, poultry producers, and fish farms. Beginning in early 2004, USAID asked DAI to broaden ASME’s focus to include textiles and apparel and a broader set of nonfarm rural enterprises. Those new initiatives delivered good results. They strengthened the rural business service provider network and commercial links between providers and their private clients, and contributed to the development of the Armenian fashion industry (members of which are now rapidly increasing their share of the growing Armenian market and beginning to export). The project team expanded its client base and had notable success in encouraging local industry association development. In May 2006, USAID requested ASME’s assistance in working with government agencies and private producers to respond to the growing threat of avian influenza. Develop a commercial leasing company. Offer cost-sharing grants and assist the small and medium-sized business recipients. Offer business skills development through training and seminars. Provide technical support to the Government of Armenia to strengthen its surveillance, laboratory diagnosis, and monitoring capabilities. Assist private poultry producers to improve their flock monitoring and biosafety practices, and prepare to respond effectively to avian influenza outbreaks. Coordinate avian influenza communications activities among donor organizations and government ministries. Fifty-three enterprises that worked with ASME increased their revenue by $26 million and created 16,000 new jobs within their companies or among the farmers from whom they purchased goods. Five national associations were developed over the life of the project: National Federation of Beekeepers, Armenian Tanners Association, Dried Food Producers Association, Armenian Association of Exporters, and Armenian Fashion Council. Assisted 500 companies—including 110 owned or managed by women; 53 ASME-assisted enterprises increased their annual sales by $26 million, creating 16,000 new jobs either internally or among their suppliers. 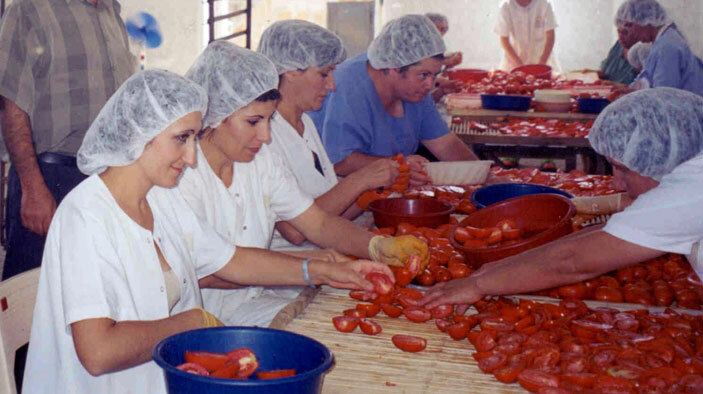 Spurred development of the ACBA Leasing Company, thereby introducing an important new financing option for Armenian agribusinesses. Conducted 178 training events involving 2,000 small and medium-sized enterprises, and 50 training activities involving 2,000 participants under the avian influenza project. Organized 85 domestic and international trade events. Funded 132 short-term technical assistance assignments by 78 international specialists in fields as diverse as queen bee breeding and fashion design.